The Queen Isabella Memorial Causeway has been closed to all traffic due to a threat which was called into South Padre Island Police a short time ago. Port Isabel Police Chief Robert Lopez reports that the PIPD was notified by their counterparts with the South Padre Island Police of the threat at approximately 11 a.m. to request their assistance in stopping eastbound traffic. 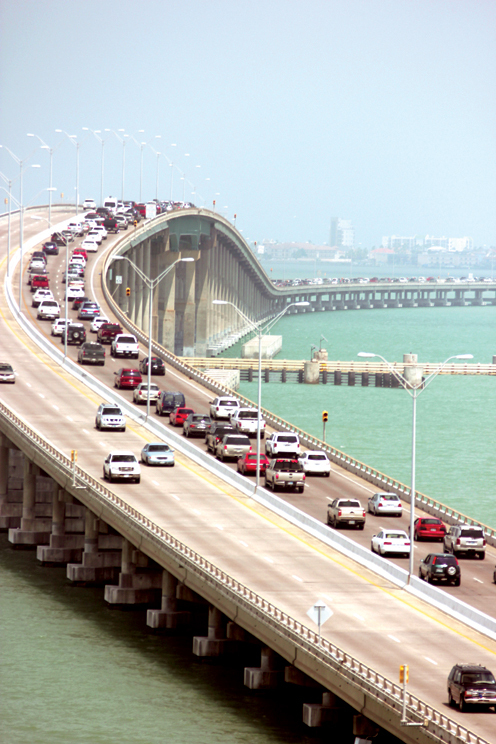 SPI PD has similarly stopped westbound traffic from accessing the bridge, Lopez said. The call was made from a Harlingen area phone number, the chief said. The threat indicated that the bridge could collapse, the chief said. The U.S. Coast Guard and the Department of Public Safety (DPS) have both been notified of the threat and local officials are currently awaiting a DPS inspection of the bridge. Coast Guard officials are also assisting in inspecting the bridge, Lopez said. South Padre Island Chief of Police Randy Smith said the call came into the Harlingen 911 system and was transferred to SPI PD. “A lady called into the 911 system saying the bridge may collapse,” Chief Smith said. “TxDOT engineers are checking out underneath (the bridge),” he said. DPS spokesperson, Lt. Johnny Hernandez said officials are taking precautions to make sure the public is safe. “There’s no visible damage or anything like that,” Hernandez said. “Somebody called in and said there was damage on the bridge or (it) was going to get damaged, so we’re just taking precautions and just making sure everything’s OK,” he said. Chief Smith estimated the bridge may be re-opened in approximately 45 minutes, but Hernandez cautioned the inspection will take as long as it takes. “Whatever length it takes,” he said. “Just be patient. We want to make sure — it’s precautionary — to check to make sure everything’s OK with the bridge,” Hernandez said. “Public safety is our No. 1 priority. … In the meantime, enjoy the Island for now,” Hernandez said. The Point Isabel Independent School District (PIISD) has alerted parents who live on the Island that their children are safe and will be transported by boat, if need be, reports Dr. Lisa Garcia, superintendent of schools. “We’re in the process right now of making alternate arrangements for our students. We’ve got a commercial vessel on standby, ready to transport our students that need to get to the Island,” Garcia said in a phone interview. Some PIISD students were participating in a field trip on the Island today and currently remain there, she said. The school district notified parents of the transportation delays via its Blackboard Connect system. The district’s two elementary schools are normally scheduled to release students between 3 p.m. and 3:10 p.m., Dr. Garcia said. Junior high and high school students are dismissed from their campuses at 4 p.m., she said. “We’ve heard information that the bridge might be cleared by between 2:30 and 2:45, so we’re waiting just a few more minutes to make this call,” she said. Approximately 49 elementary students and 32 secondary students need transportation to the Island, Garcia said. 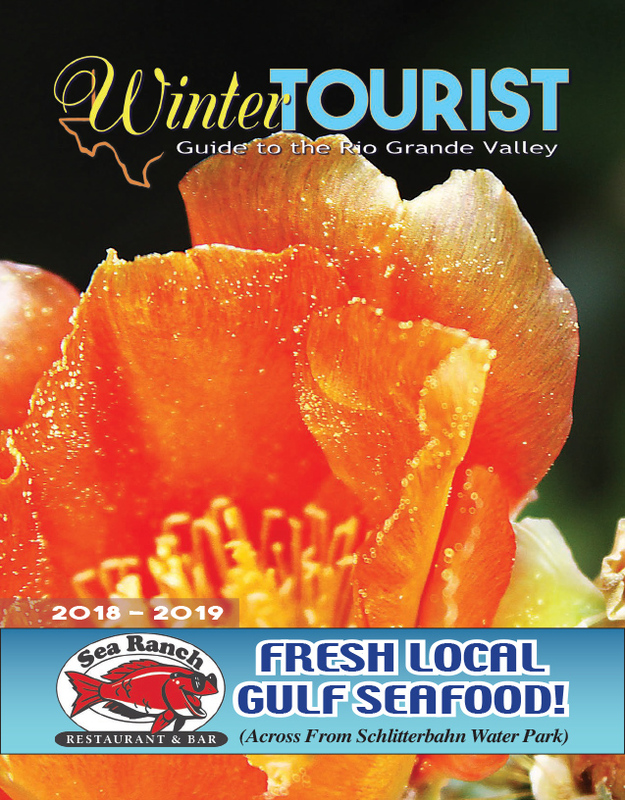 In the event students will need to be transported by boat, the boat will depart from the Texaco fuel docks in Port Isabel and arrive at the Sea Ranch Marina on South Padre Island. There, the field trip bus will transport students to their regular bus stops, Garcia said. Garcia had one last comment for parents. “All their students are safe in their classrooms participating in normal school activities for now. And until we have a viable, safe method to deliver them home, we will keep them at school and keep them safe,” she said. The Causeway was re-opened to all traffic just moments ago. “TxDOT has given us the all clear,” Chief Smith said. “The rest is all just going to be an investigation,” he said. Investigators with SPI PD and the Texas Rangers continue to investigate the case, he said. The PRESS is currently working to find out more on this developing story. Check back here for more updates.